Okay, sorry for the kitsch, but I couldn't resist. 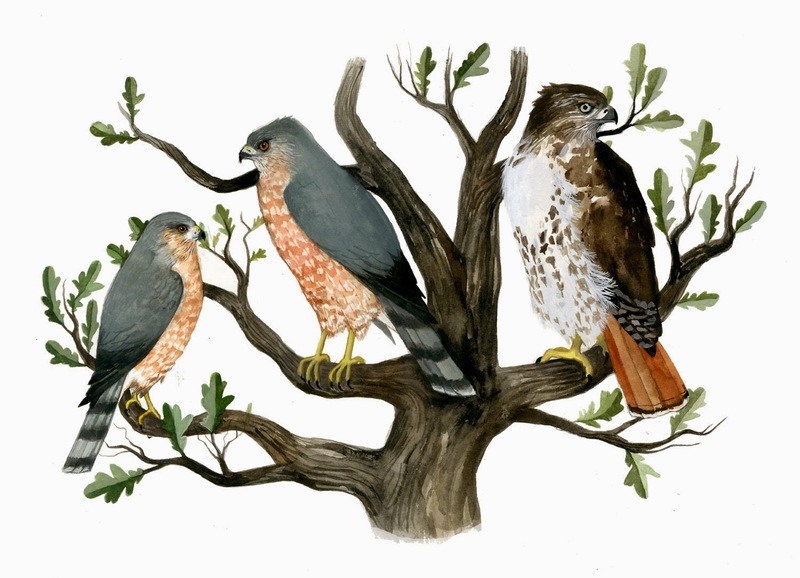 And did this blog really need another painting of a bird on/in a tree? Don't answer that. 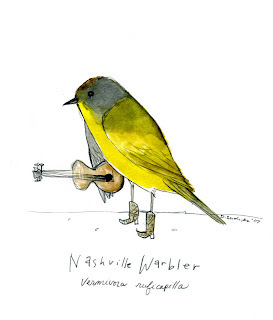 So yes, here it is, the next warbler in my long march of warblers: the Nashville warbler. You may think that with a name like that it's song has a nice little twang, and it nests in the Grand Ol'Opry; not quite. In 1811, ornithologist Alexander Wilson spotted it in the vicinity of Nashville, hence the name, but it does not regularly breed in that area. There are two distinctive breeding populations: one that mainly inhabits an eastern North American range, and the other a western range. For many years due to slight variation in plummage, it was thought that the western range was inhabited by a seperate species named Calaveras Warbler.